Here's we found a wonderful classic 4x4 for sale on ebay, yes it's American classic SUV, fully restored and finished on original factory was. You can see the pictures, very sunny and fresh like the time he came out of the factory. The Blazer is really good looking. 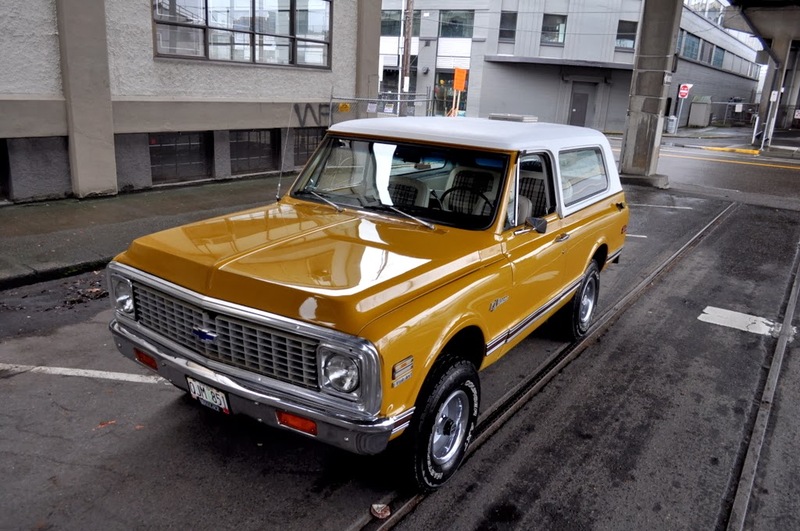 Detail of The 1972 Chevrolet K5 Blazer 4X4. Repaint on original factory color of Wheatland Yellow and has white vinyl seats with factory black and white plaid inserts. The interior is mostly new. The carpet is black loop. Zero rust it has had both of the rockers replaced in steel. The floorboards are solid as are the bottoms of the doors. The miles stopped rolling over on 79K miles. 350 V8 Automatic. Mechanically the blazer has always run well. No leaks. The transmission on good. This Chevrolet has a ton of vintage appeal and will surely be one to hold on to for future appreciation. It is not perfect however so perfectionists..